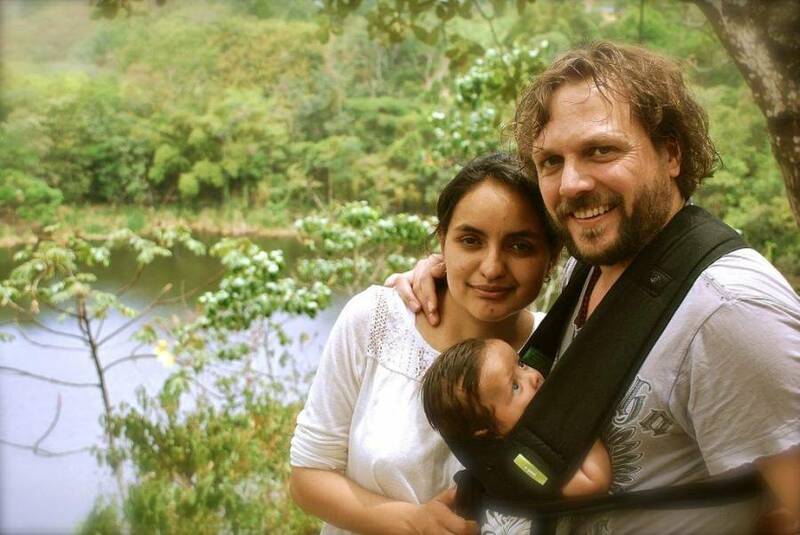 We are a Colombian-Swiss family and want to give a warm welcome to our visitors, in a space that combines modern and colonial style. 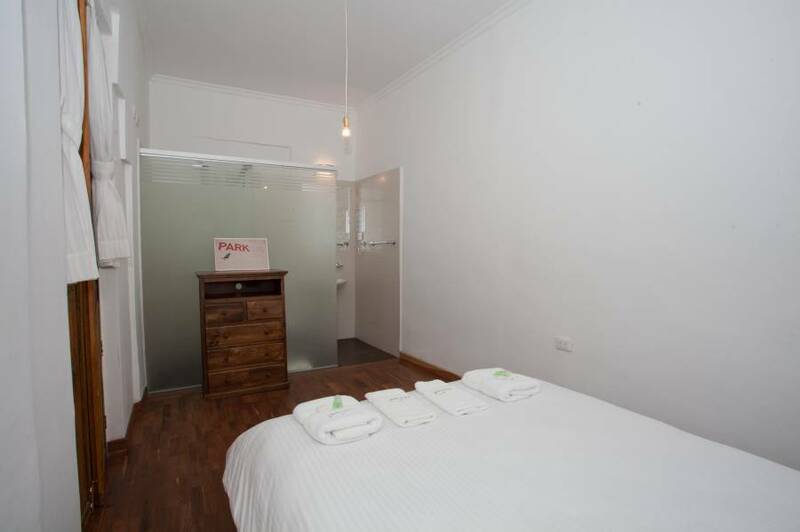 Our guesthouse is located in the historic area of the city and we have for you, exclusive amenities including sauna, well equipped kitchen, spacious TV lounge, BBQ, outdoor space with a spectacular view over La Candelaria and rooms with bathrooms so, we offer you high quality standards. You will feel at home. Book with us and we will be sure that you will have a comfortable, safe and peaceful stay. 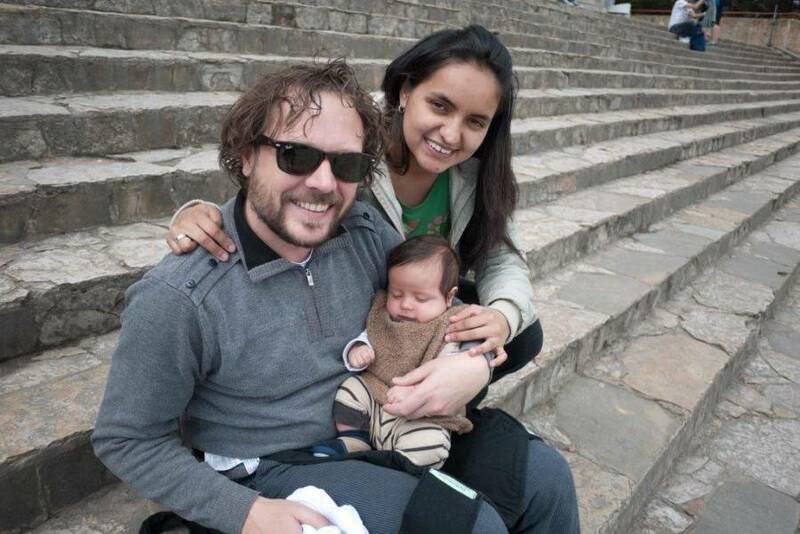 We wait you in Arche Noah Guesthouse, Bogotá! 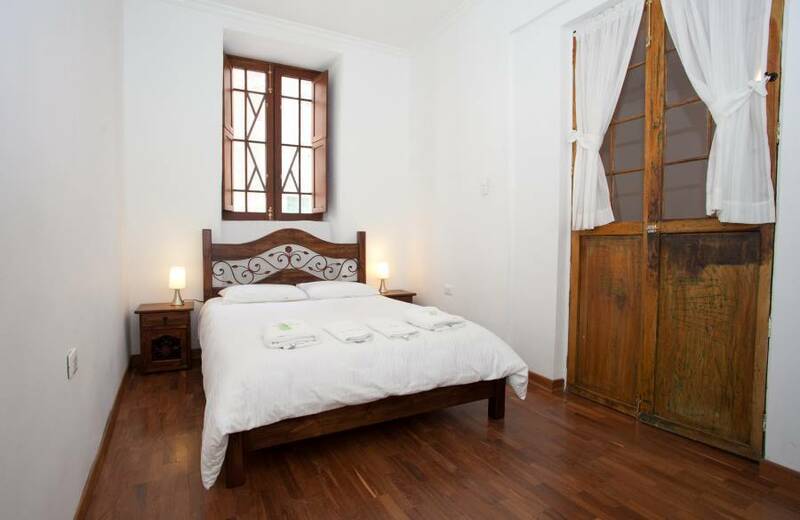 Our guesthouse is located in the historic area of the city and we have for you, exclusive amenities including sauna, well equipped kitchen, spacious TV lounge, BBQ, outdoor space with a spectacular view over La Cande-laria and rooms with bathrooms so, we offer you high quality standards. Family Apartment Family Apartment, comfortable, composed of a double bed, private bath-room with hot shower, heating, small kitchen, living room with a sofa bed (1. 40mts) to max. 2 children. Optional you can include a cot. Twin Room Spacious Twin Room, composed of two single beds and a sofa bed (1. 40mts) to max. 2 children, close social bathrooms. Optional you can include a cot. 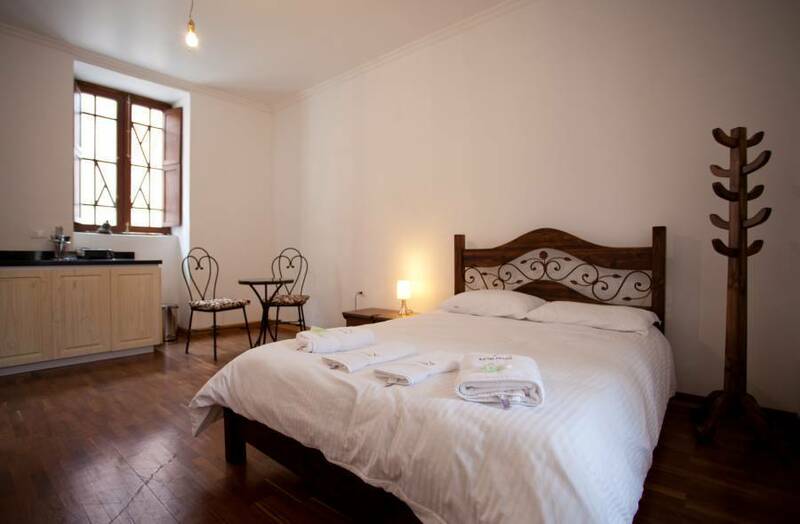 Double Rooms Double rooms with private bathrooms, hot showers, wardrobe and heat-ing Dormitory Dormitory with five single beds, bedside tables with option to close with lock and a mini balcony to relax. 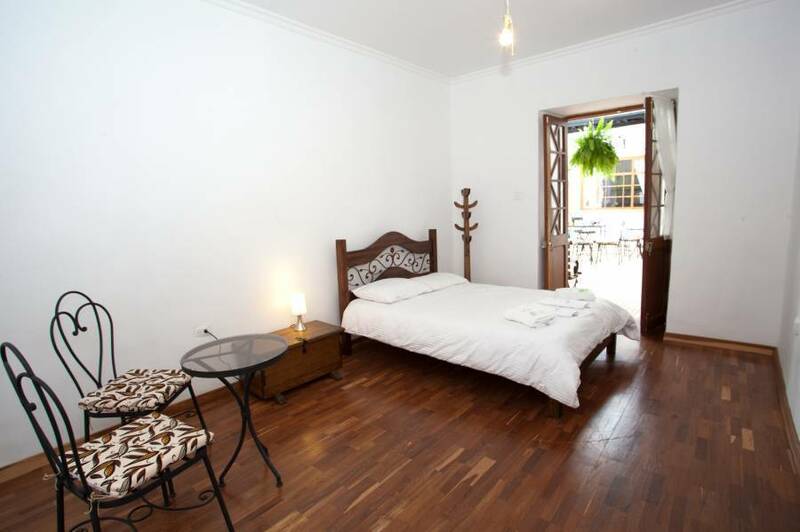 Arche Noah Guesthouse is located close of main interesting and cultural places, such as, Av. Jimenez, Monserrat Church, los Periodistas Square , University los Andes as well as, different museums of the historical center in La Candelaria. -Check-In between 14:00 and 23:00 / Check-Out until 11 am. -Minors (below 18 years) are only admitted when accompanied by a parent or with a responsible adult. -Arche Noah Guesthouse is free of cigarette. We offer you, free space to smoke. -If canceled or modified up to 2 days before date or arrival, no fee will be charged. If canceled or modified later or in case of no-show, 100 percent of the first night will be charged. During the daytime, there is a Transmilenio Connection from the Airport to the Guesthouse. Go with the “Satelital” Bus until the Trasmilenio Portal “El Dorado”. Ask the Security Personal how to get to the “Las Aguas” station witch is the nearest station to the Guesthouse.